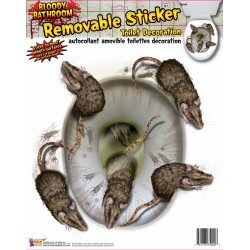 3 D Rat Stickers halloween decoration scene setter. 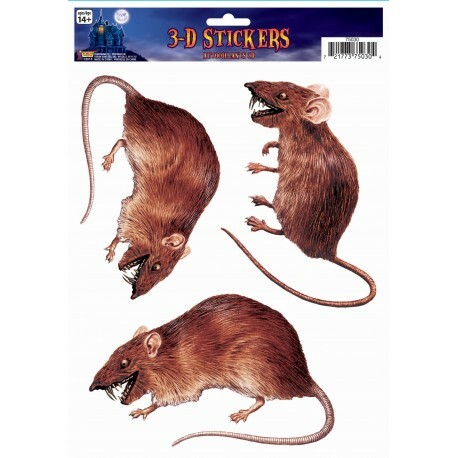 Included are 3 extremely realistic life size rats made of durable plastic for indoor or outdoor use. 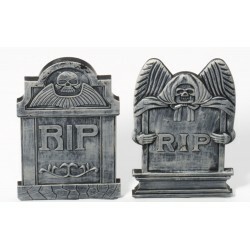 Easily fix our 3 D Stickers to any surface and you're ready to impress the night walkers!